You are viewing the joelle anthony tag archive. The phrase â€œDon’t judge a book by its coverâ€ has been around forever. Adults have been telling younger readers for years that it’s what is on the inside that matters, not the cover art. However, this is like telling a child to stop making that funny face because it just might freeze that way. We’ve all heard it, but no one believes it. Similarly, you can tell readers to merely look at the book’s description to discover its appeal, but you might as well be talking to the wall. Everyone, no matter what they say, will have an emotional reaction to the cover art of a book. It’s specifically meant to draw your attention. For the most part, books look fairly similar on the inside and, without reading a bit, the only way to gauge a reaction is by looking at the cover art. Now to take this one step further, face-out displays are a fabulous way to get someone to stop and ponder reading a book. The cover might be bright, mysterious, or just plain beautiful. 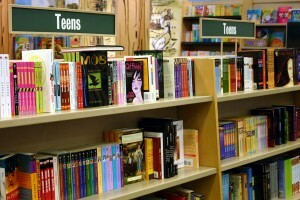 But here is another question to consider: what about the book spines? Libraries and book stores will have intriguing displays showcasing books. When you hit the shelves, what makes you pick up a book? Is it the title? Is it the color of the spine, which doesn’t always match the cover of the book? Is it the font of the title? Is it a prominently displayed author name? All of these things are factors that persuade a reader to either pick up a book or pass it by. February is Mend a Broken Heart month, but no, it isn’t about sending flowers to friends who are mourning a break-up. This awareness campaign is sponsored by My Stuff Bags Foundation, an organization that supports America’s children who have been abused, neglected, and abandoned by the very people who should love them most. These children leave their homes, often entering crisis shelters and foster care with no personal belongings, and this organization partners with social service agencies to provide basic necessities to these children. 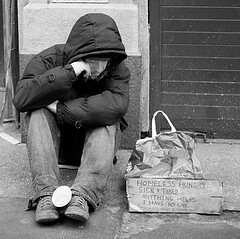 Tragically, too many of today’s youth experience abuse and neglect, and many are homeless. To commemorate Mend a Broken heart month, we’re promoting ways in which you can help these teens and spotlighting young adult fiction that deals with the difficulties they face. July 1 is Canada Day, which is somewhat like what July 4 is to the United States. It marks the uniting of the country, and festivities include picnics, fireworks, and indulging in poutine (I hope). If you haven’t done so in a while, it might be worth checking out a book either set in Canada or reading a book penned by a Canadian. Here are a few suggestions — and really, is there any better way to celebrate Canada Day than with a book (and poutine)? Many of the books Brooks has written take place in her home country of Canada, including last year’s Queen of Hearts, a 2012 Best Fiction for Young Adults title. It follows Marie Clarie shortly after her first kiss but before her sixteenth birthday in December, 1941, when her younger brother and sister are sent to a tuberculosis sanatorium near their Manitoba farm.